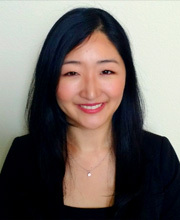 YUMI CHOE is an attorney with the law firm of Vogt | Resnick | Sherak. Ms. Choe practices in the areas of estate planning, real estate, and business law. Her practice draws from her experience in the legal industry of nearly ten years, and places emphasis on corporate law, including formations, mergers, and corporate governance. Ms. Choe is a member of the California State Bar. She is also a member of the American Bar Association and its Business Law Section, Real Property, Trust and Estates Law Section, Labor Law Section, Litigation Section, and Intellectual Property Law Section. Ms. Choe received her Juris Doctor Degree from Western State University College of Law and was a member of its Negotiations Team. She received her Bachelor of Arts degree in English from University of California, Irvine.